Steve Winter has an anniversary coming up on either Feb 18 or 19. Mystery Person – Ken Oster took the occasion of mystery person to announce the Cornbusker singing group will be happy to serenade loved ones on Valentines’ Day. He awarded the Hy-Vee gift certificate to Carl Alden. Greeter – Steve Winters has taken advantage of MU’s “Service Learning” program to engage the services of senior swimmer, Michael Chadwick. Steve has tasked Michael to come up with a one-page promotional piece for the restaurant gift certificate fund raise we have each fall. The promo will hopefully appeal to the broader base of potential certificate customers. This is a forward looking attempt to fill a possible loss of Koeze Nut sales as Red Leighton’s retirement from sales will have. Last year’s gross sales were $23,000 for restaurant certificates and $78,000 for Koeze Nuts. While the club will make every effort to maintain Red’s Koeze Nut sales contribution to our fund raising, we can anticipate some sales losses in this area. Sign In All were signed in today so there were no contributions to the Pig. Carl mentions the Pig contributions will be going to Childhood Cancer. E. MO Dist. Meeting – Ken Oster reported on one of the keynote speakers at this meeting, Rev. Darien E Factow (sp?). Rev. Factow discussed his approach to working with kids. No one asks kids what they want to become in life. They don’t say they want to become a thief, or a drug attic or a burglar. 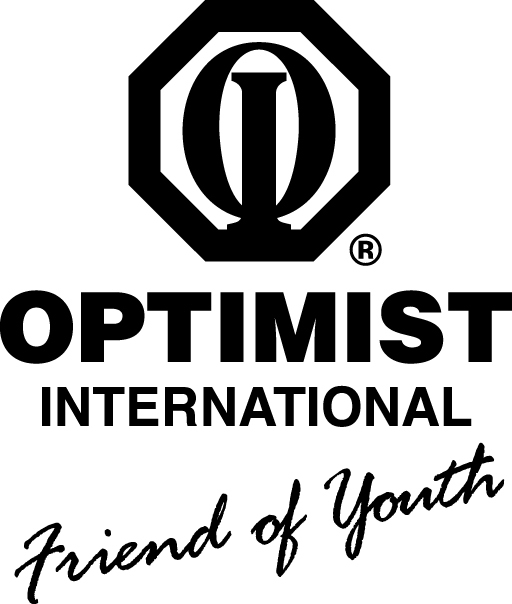 So he proposes the 5 Factors of Optimism: 1) Perspective of the meaning of life. 2) Promise to become that person 3) Potential for the future 4) Priming needed to achieve that goal and 5) Promotion to achieve that goal. Ken suggests we incorporate this philosophy into our grant award criteria. Carl Scott who also attended the District Meeting present a check for $25.00 to our treasurer announcing we beat the mango ladies (Twin City Optimist Club) taking first place with over 40,000 points in 1st Quarter activities. Carl said we did this by actually recording all the activities we do. He also mentioned that he scours the local papers for activities we can engage in and getting club members to attend those events. He got a big ovation for this report. New Member recruitment event – C.O. Scheffer reported this event to be a success. He thanked Rick McKernan for circulating through several local banks and recruiting young bankers to attend this event. About 10 prospective members attended. C.O. expects we should hear from 2 or 3 of these participants. The follow-up event is scheduled for March 4. Oratorical – Rick McKernan reminded folks this event is to take place at our clubhouse at 10:00 am at our clubhouse. He has instituted n application deadline of Feb 24 so plans can be made for the number of presentations. So far there are no know applicants. Rick is working especial with PTA groups and home schooler to recruit kids. Computer Giveaway – Feb 18th– Rick McKernan said he still needs a couple more volunteers on Thursday , Feb 16 from 4:00 – 6:00 to help with the set-up (ensuring all the pieces are with each computer and the computers are physically clean). The actual give-away is still at the clubhouse at 10:00 on Feb 18. Food Bank – Larry Fick reminded folks there is still the urgent need to help at the food bank. The challenge to package and distribute the 32 pallets of donated food by Feb 15 is still a concern. Larry and Jim Murphy will be working today. Contact Larry at lfick41@centurytel.net/ . Club Chili Cook Off – Max Miller has all the chili makers signed up and ready to go. There will be plenty of crackers, sour cream, and grated cheese to go with the chilis and blackberry cobbler with ices to cool things do. There may even be some cholate covered strawberries. Event takes place this Thursday, Feb 9 at 6:00 at the clubhouse. Rootin Tootin Chili Cook-off – Scott Stager could use some help to pass out chili from 2:00 to 6:00 at this cook-off fundraiser for Boys and Girls Club of Columbia of Feb 18. Kids First Garage Sale is this Saturday at the Sunrise Clubhouse on Parker Street. Special work crew is needed to put away the Christmas tree stands in the clubhouse lot. Meet at 10:30 Wednesday morning Feb 8 at the clubhouse. Jim and Dave Murphy have already signed up. Jenny Flatt, The Family Impact Center couldn’t attend due to illness. There was no speaker today.